Man Utd have been linked with making a move for Barcelona defender Jordi Alba, albeit the left-back slot doesn’t seem like a position Jose Mourinho needs to strengthen. The 29-year-old has firmly established himself as a key figure at the Nou Camp since arriving in 2012, making over 250 appearances for the club while winning a whole host of trophies including four La Liga titles and a Champions League. With that in mind and given that he seemingly has plenty left in the tank and has made 11 appearances already this season with coach Ernesto Valverde valuing him highly, it doesn’t seem likely that he will be allowed to leave by the Catalan giants. However, as noted by Sport, issues over a contract renewal have raised question marks over his future at Barcelona with his current deal running until 2020, and that in turn has seemingly led to the interest from Man Utd. 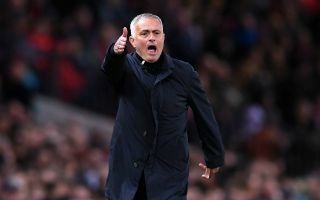 Whether or not it would be a sensible idea from Mourinho’s perspective is debatable, as with Luke Shaw finally now proving himself at Old Trafford coupled with the presence of stalwart Ashley Young and Marcos Rojo if necessary, the Portuguese tactician appears to be well covered in that area. Particularly given that United have struggled so far this season and continue to fall short of expectations, there are arguably other areas of the squad that need to be prioritised, but that hasn’t stopped the links with Alba. Given his importance to the team, it would be a surprise to see a move materialise. Nevertheless, until that contract situation is sorted out, it would appear as though United will continue to monitor it and swoop if he becomes a viable target next year. Find Utd being linked with Jordi Alba a strange one. Utd looked at Alex Sandro but thankfully Luke Shaw is making the LB slot his own.